Lammas, which falls on August 1 in the northern hemisphere, and February 2 below the equator, is one of the most popular of the Pagan sabbats – it’s a time, in some traditions, to honor Lugh, the Celtic craftsman god. For many modern Pagans, though, it’s also a time of marking the early harvest – specifically, the grain harvest. After all, the word Lammas comes from the Old English hlaf-maesse, or loaf-mass. In other words, it’s a celebration that’s all about the magic of bread. Bread is great – it’s filling and delicious, and goes with just about everything. Baking it and eating it are part of the Lammas theme. But what if you can’t eat gluten? If you’re on a gluten-free diet, any bread made from wheat flour is off-limits. So, how do you celebrate and keep the spirit of the sabbat alive, without making yourself too sick to function? The good news is that you have a lot of non-wheat options for bread. Sure, you can buy gluten free bread at your local grocery store, but it’s not always as tasty as what you may be used to. Homemade gluten-free breads, on the other hand, can be pretty delicious. 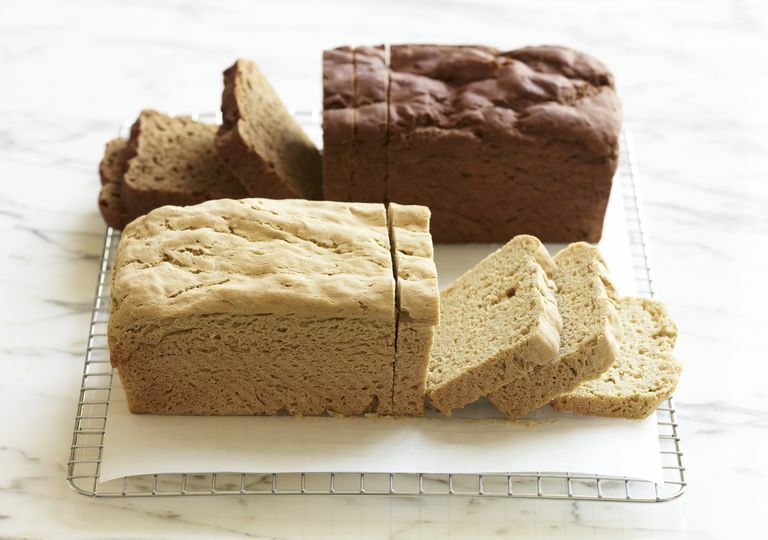 While they may take a little more time to make than regular breads, because of the sheer number of ingredients, it’s worth the time and energy to create something that tastes amazing – and that your not-gluten-free friends will enjoy as well. There are some great sandwich bread mixes available, which I’ll share below, as well as some amazingly tasty recipes you can make from scratch. 1. Pamela’s Gluten Free Bread Mix: Bakes up nice and fluffy, great for sandwiches or snacks. If you’re not going to eat the entire loaf at once, slice it up and freeze it for later. 2. Bob’s Red Mill Homemade Wonderful Bread Mix: The name doesn’t lie – this bread mix is tasty. It also works as a nice base, if you want to add in other goodies like garlic or herbs. 3. Glutino Favorite Sandwich Bread: I’ve had a lot of success baking this in a traditional bread pan, but it also works nicely if you want to shape it into a decorative loaf for sabbat celebrations. Now, what if you’re someone who’s on a completely grain-free diet? You’re probably looking at the list above and thinking, Thanks for nothing, I can’t eat ANY of those. No worries, grain-free friends. You still have options too. There are plenty of great non-grain bread recipes out there. One of my favorite websites is Paleogrubs, where they have a ton of recipes for breads that have no grains in them: 21 Paleo Breads with No Wheat or Grain Whatsoever. Finally, let’s not forget another important aspect of Lammas – it’s a harvest celebration, which means there are a lot of amazing things in your gardens and your local farmers’ fields that you can eat. Think about ways to incorporate seasonal vegetables into your Lammas celebration. Potatoes, squash and beans are all ready to be picked when Lammas rolls around, so figure out which of them you love the most, and make yourself something delicious to celebrate the bounty of the fields. Be sure to read our article about Celebrating Ritual with Food Allergies, for some more insight on how to manage being in a group setting when there's a food you can't eat.